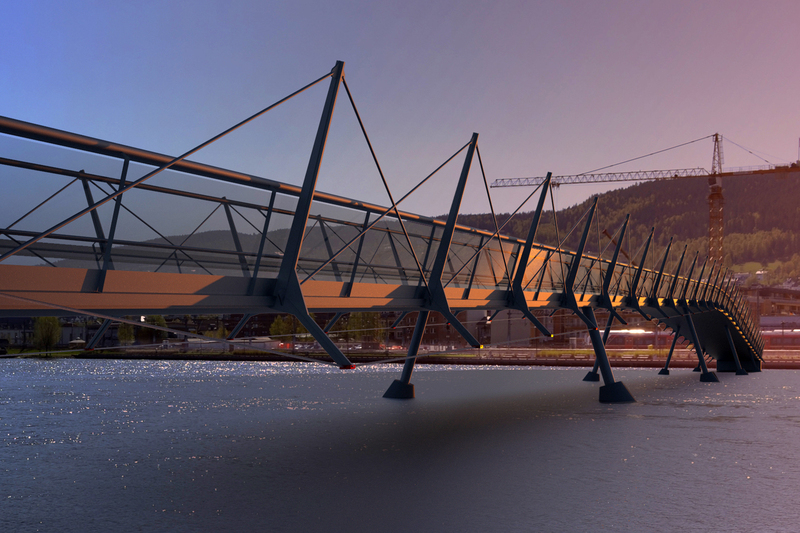 Two bridges in Drammen, Norway developed as part of the city’s drive for sustainable transportation. 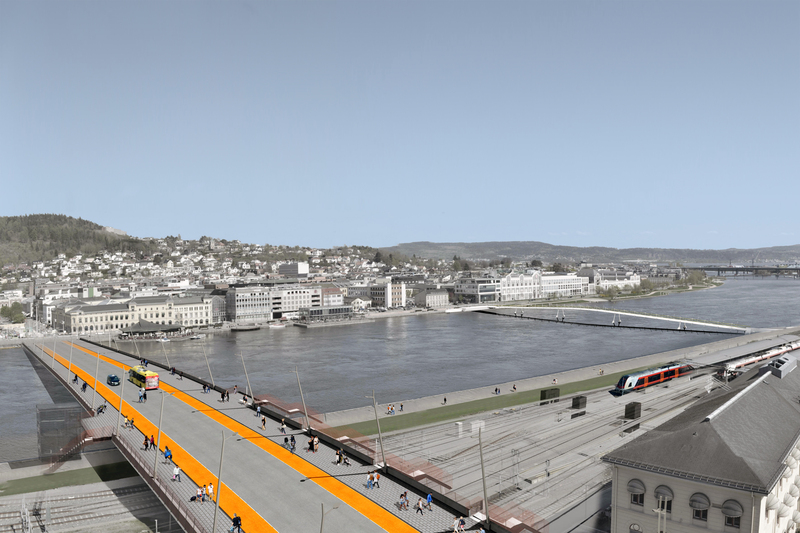 Bybrua or City Bridge replaces an existing bridge carrying the main vehicular artery across the Drammen River, and a new downstream structure provides for cycle and pedestrian crossing. 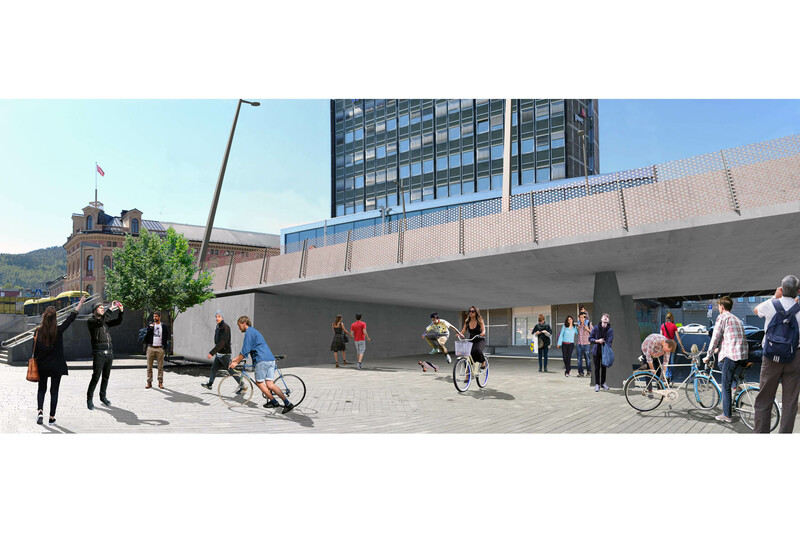 BEaM’s team strategy for a “Blue Realm” plans to transform the area between the two bridges into a newly accessible waterside public realm encouraging pedestrian and cycle journeys and re-integrating the riverfront with the city. 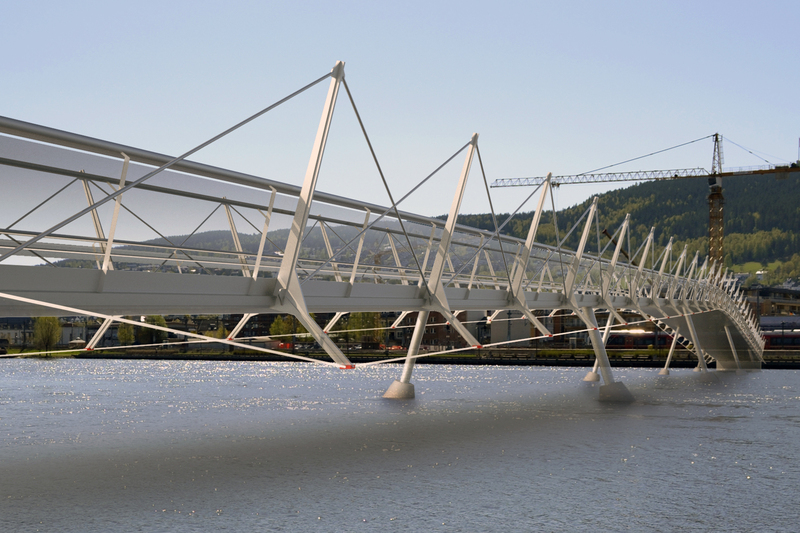 The highway bridge is a multi-span concrete beam and the foot/cycle bridge is structured with a lightweight cable truss. 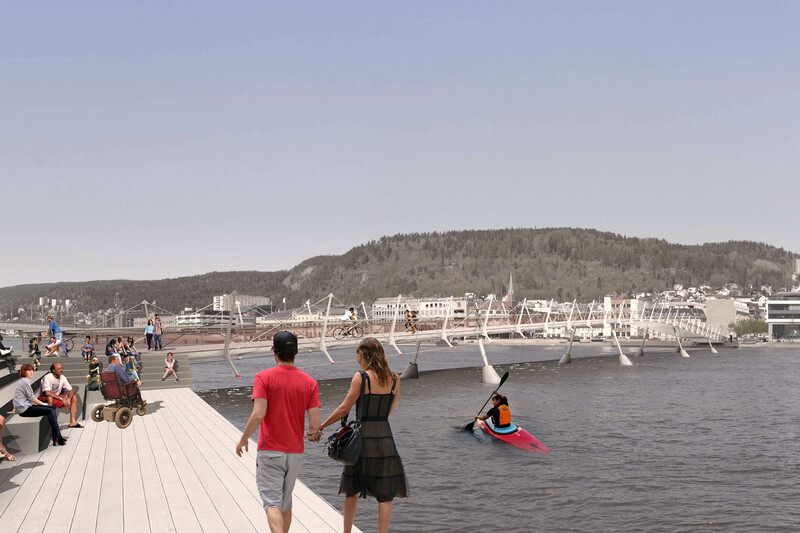 Both bridges are designed for efficient use of materials and minimal visual impact in line with the city’s sustainability agenda.